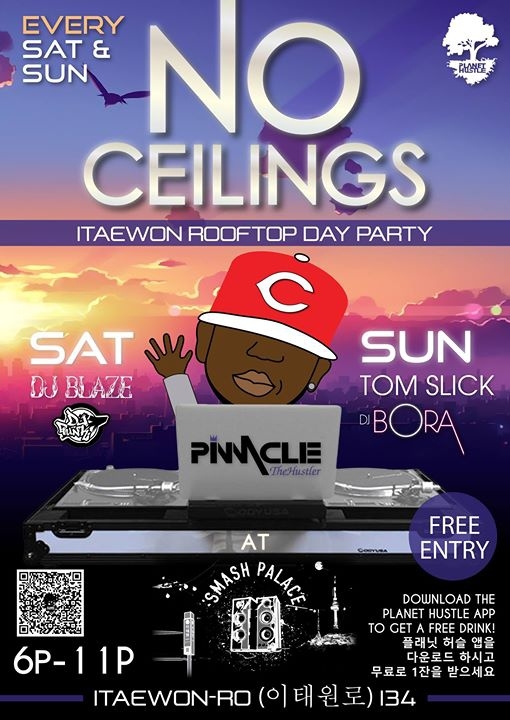 Come hang out on the Smash Palace rooftop in Itaewon. We got delicious pizza, cold drinks and dope Hip Hop Music. This is perfect way to start your night on Saturday and chill out on Sunday. See you this weekend!